Eric Luthi is the principal of an alternative high school by day. At night, he writes plays and short stories and teaches at a community college. He describes himself as the father of four and husband of one. Eric is currently working on his first novel. The old man opened his eyes and saw the exposed oak beams above him. He cut them years ago. It had been hard work, but he had wanted to do everything by hand back then. He rolled over and sat up on the right side of the bed. Eighteen years later and he still slept only on the right side. He closed his eyes and waited for the wave to pass. He reached out to touch the wall and ran his fingers over the surface. The grain was rising. The walls would have to be oiled again soon. Maybe this summer. It would wait until summer. The next morning, he had skipped shaving, and now, long after it had turned white, he still wore the beard. He dressed and went outside into the cold air. The top of the mountain disappeared in the clouds. A spring frost had dusted the trees and ground during the night, and the sunlight that made it through the clouds was almost too bright. The old man turned and walked toward his shop. It looked like a barn, bright red against the frosted trees. The old man pushed through the shop door and went in. Unfinished work lay all about. The day before, he had finished shaping and sanding parts for a dozen long-tailed rockers. They were stacked in rows on a long table awaiting final assembly. The buyer wanted them next week. He moved to his workbench and pulled aside a dusty cloth. There, in a wooden clamp, rested the carved hull of a model boat. It was a sailboat, or would be when it was done. He picked up a block, wrapped it in sandpaper, and rubbed the hull. He used finer and finer grit as he worked, finishing and smoothing and refining. Nick was getting ready to step the mast when the light in the shop brightened. A man stood in the doorway. Nick squinted and raised a hand to shield his eyes. “Hello, George,” he said. Nick fitted a silver dime into the hole he had drilled in the deck for the mast. George paused and said, “Give it some thought. I'll be back for the rockers next week.” On his way out, George pulled the door closed. The old man watched him go and then turned back to fit the mast into the deck. Nick heard the truck arrive. The rockers were finished, each one carefully wrapped in a protective cloth. All but the last one. He always left one for the buyer’s inspection. The door opened, and George entered, followed by two men. The men began moving the rockers outside, and George came to the workbench where the old man sat in front of the sailboat. “What did you do?” George asked. George looked skeptically at the old man and shook his head again. George returned at noon the next day. The shop was empty, and he let himself in. The sailboat rested in a little canvas cradle built so nothing would mar the hull. Chinese Red. Crazy. But she was beautiful. The deep red hull contrasted with the white sails. All rigged and ready to go. There was even a painted lead sailor holding the tiller. George carefully wrapped his arms around the hull. The park was cold in the early spring. Still, the sunshine brought people out after the long winter. Some children played down by the pond with their parents. The kids saw Nick and ran over to him. “Grandpa Nick,” they shouted. Some hugged him. Many of them had sailboats. Some boats were already on the water. Each one was different, some worn more than others, but the craftsmanship was unmistakable. Nick called to a boy standing behind the others, “Daryl, this is for you.” He took the sailboat from George and handed it to the boy. Daryl didn't say anything. He gave Nick a quick hug and ran to the pond to put the sailboat out to sea. Nick turned on George and stuck a finger in his face. George took a half step back. Then Nick’s expression softened, and he wagged his finger. 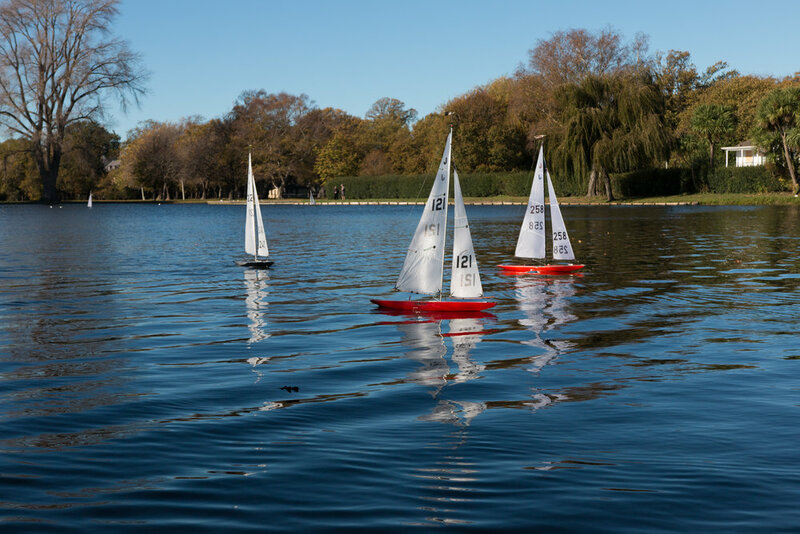 The Sailboat was written by Eric Luthi and first appeared in the literary magazine Chicago Literati. At SunLit, we were drawn into The Sailboat by the description of the main character: an old man who works with his hands and still loves his wife even though she passed away eighteen years ago. If you enjoyed The Sailboat, please like it now and share with your friends.